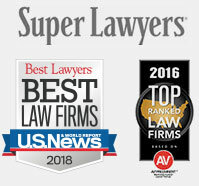 Our San Francisco real estate attorneys provide real estate advice and services to developers, landowners, purchasers, lessors and lessees in both commercial and residential matters. We offer counsel regarding negotiations for the purchase or sale of property, project development and planning, eminent domain issues, and the negotiation and drafting of leases, easements and other property interests. In addition, our San Francisco real estate attorneys are skilled and experienced in handling land use and zoning issues which may arise during development or cause concern during the due diligence phase of a potential transaction. As discussed in more detail elsewhere on our website, we also provide counsel regarding land financing issues and environmentally-impacted real estate.